إن فندق Toorak Manor Hotel بموقعه الممتاز في Toorak هو نقطة انطلاق جيدة لنزهاتك في ملبورن. يسهل الوصول إلى هذا الفندق ذو 4 نجوم من المطار، فهو يبعد عنه مسافة 33 km فقط. سوف يعشق النزلاء موقع هذا الفندق، فهو قريب من أهم المعالم السياحية في المدينة كمثل ‪Como Historic House and Garden‬, براهران سنتر, كومو هاوس . يقدم Toorak Manor Hotel خدمات لا غبار عليها وكل أشكال اللياقة وحسن الضيافة اللازمة لإسعاد ضيوفه. يقدم الفندق واي فاي مجاني في جميع الغرف, مرافق مخصصة لذوي الاحتياجات الخاصة, واي فاي في المناطق العامة, صف السيارات, خدمة الغرف لضمان الراحة القصوى لضيوفه. تنعكس أجواء Toorak Manor Hotel في غرف الضيوف.تلفزيون بشاشة مسطحة, اتصال لاسلكي بشبكة الإنترنت (مجاني), غرف لغير المدخنين, مكيف هواء, تدفئة هي بعض الميزات الموجود في العديد من الغرف. يقدم الفندق خدمات رائعة كمثل حديقة لمساعدتك على الاسترخاء بعد نهار طويل من النشاط والتجوال في المدينة. إن Toorak Manor Hotel هو مكان مثالي للمسافرين الذين يتطلعون إلى الراحة والاستجمام في ملبورن. I was pleasantly surprised. I had read mixed reviews but the room was comfy and cost and clean. It was a good stay. The pillow stank of stale body odour, there was rubbish behind the curtains, there is mould on the shower floor, the bedspread hadn’t been laundered for years! When I asked for a table serviette at breakfast I was told they are not supplied but was offered a tissue. The coffee machine was filthy and took 6 minutes to make one cup. If you value cleanliness DO NOT STAY HERE. The gardens are littered with beer bottle tops, cigarette buts and weeds. Appalling!!! When I left a message for the manager to call (given we left after one night but had paid for five night) he has not returned my call. I don’t know how old the reviews are but we booked November 2018. We had 2 rooms both were good, property is opposite the Hawkburn railway station and we had parking in the grounds, we had avery comfortable stay. Nice big clean rooms. 1 minor issue - Booked & paid in June thru Agoda but staff rang 3 x times looking for payment/credit card number just before and during our stay. 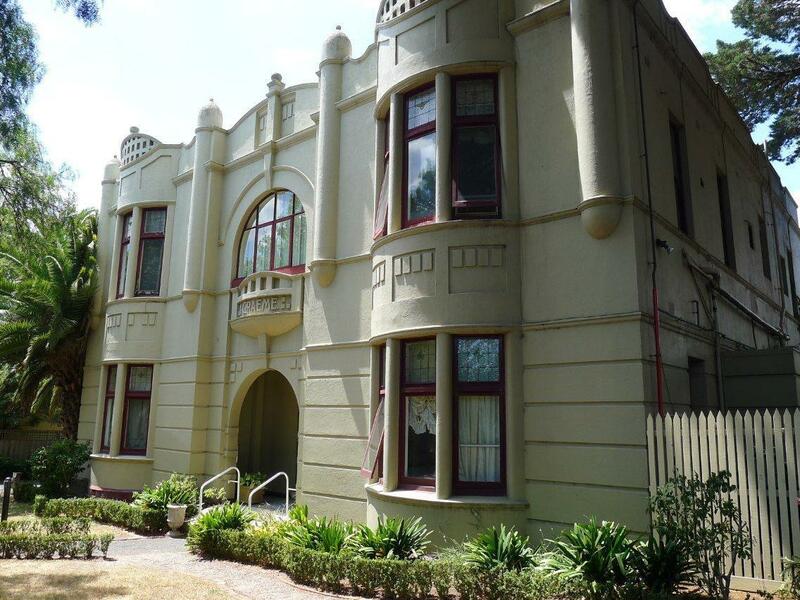 Old world charm, spacious ground floor room, tv, fridge, kettle, older ensuite, great split system heater cooler, free easy parking, relaxing, quiet, convenient location, close to shops, Woolworths and bottle shop around the corner. 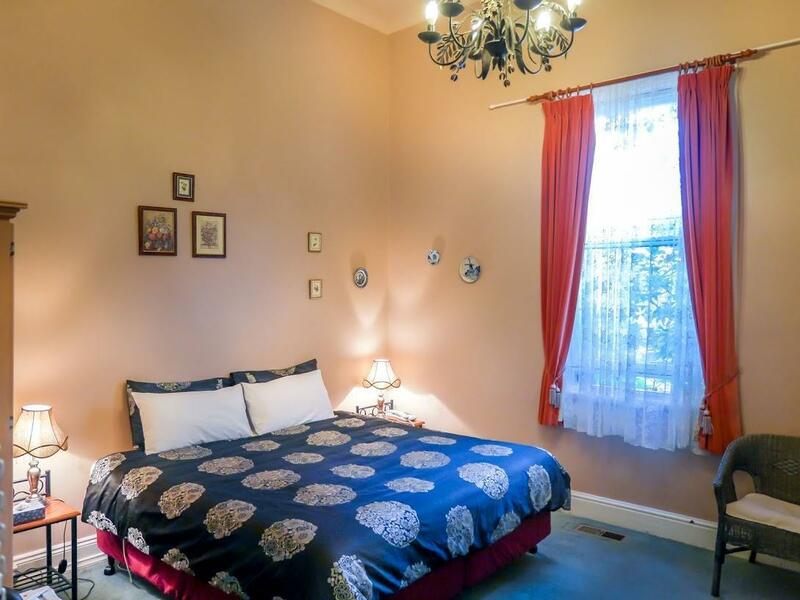 Lovely old furniture, high ceilings, well located close to train station and tram. We stayed one night. This place is a 1885 manor not a flash hotel. Great place to sit back in the lounge and have a whiskey (byo) and reada book. Cheap breakfast and off street parking. 10 minute walk to Chapel st. And a train station near by. Fully recommended. FIRST TIME, WILL STOP AGAIN. 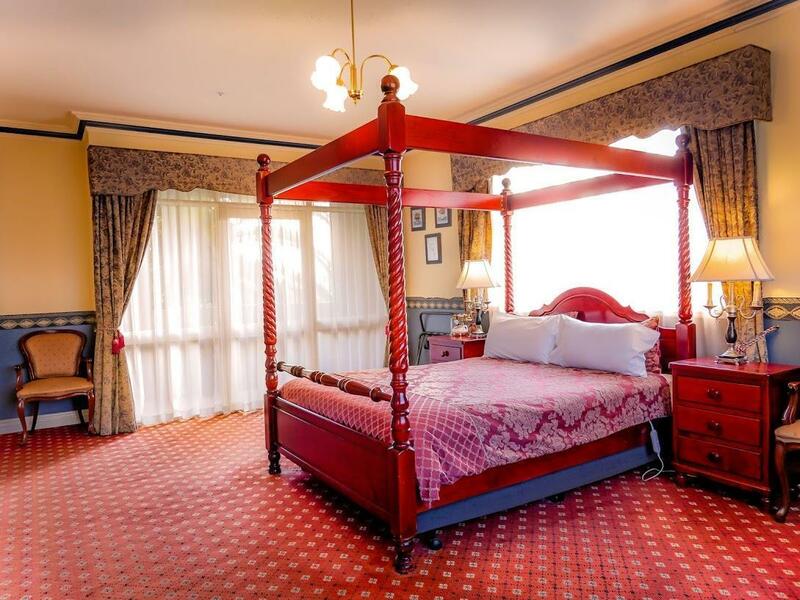 Located in the Hawksburn South Yarra Toorak vicinity of Melbourne Toorak lodge provides comfortable accommodation in a converted Victorian mansion. It really is an upstairs/ downstairs experience and room standards variable which is often the nature of converted premises. 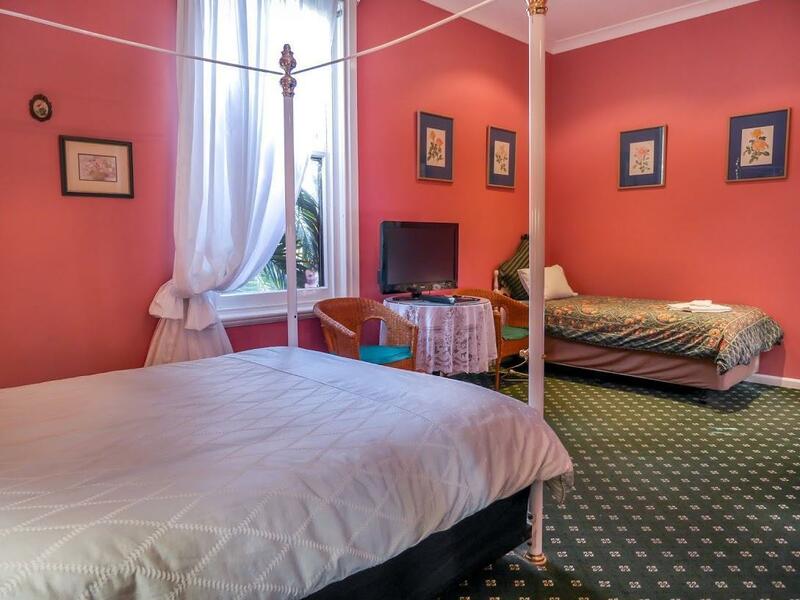 The proprietors are quite open about this and provide a frank overview of each room, including noise levels experienced and of course room rates reflect this. Our room at the back upstairs was excellent with a comfortable modern bed and excellent ensuite bathroom. One word of warning there is no elevator on the premises and dragging heavy suitcase up the stairs can be a chore. But it is the location that is one of the prime assets of the establishment It is a hundred metre walk to the Hawksburn shopping centre with is replete with restaurants cafes and boutiques. It is a similar distance to the railway station which has trains to Melbourne city centre every 10 minutes. However you will need to go to a manned rail;way stationlike South Yarra to get one of Melbourne transports quirky MYke cards before you can use the train. The location was excellent- close to the train station and walking to distance to Chapel St where there are lots of restaurants, cafes and shops. The manor itself was beautiful and nicely decorated. We found that the room we stayed in was quite comfortable although there was a strange mouldy/musky smell from the carpet- a little off-putting because we liked everything else about it. Local is the best. Comfort is also great. Finally the staff was really helpful. I loved my stay at Toorak Manor. It was very clean, great staff, and great location. The cottage was located across the street from Hawksburn station which is about a 15 minute train ride from Flinders station and the CBD. Likewise, It was about a 10 min walk the South Yarra business district. I had a great time sightseeing, but when in the manner there was great guest service and pretty comfortable rooms. If your looking for something really flash and very modern then this is not the place for you but for a homey contemporary feel it's perfect. The room was very dirty and dusty. Around the bed was a thick layer of dust which would have taken quite a few months to get that bad. All over the room was dust and I had to clean the bath before I could use it. When the room was made up the dirty coffee cups were rinsed in the bath room and left wet in wet saucers. Disgusting. The remote control was filthy and I had to clean it to even see the numbers on it. Never again!